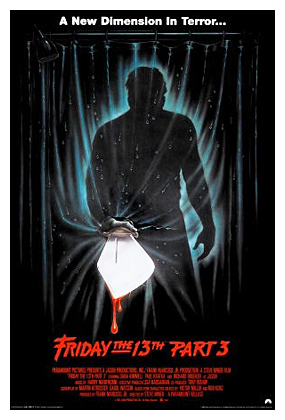 Friday The 13th Part 3 is a slight improvement over Part 2 but, still a mixed bag though it does hold some nostalgic importance to me as it was another film seen at my cherished Oritani theater in Hackensack, N.J. Released during the 80s 3D revival, sparked by Comin’ At Ya, the film was made and released in 3D and is filled with objects being thrust at the camera which is just plain distracting when watched in 2D and wasn’t that great in pre-digital 3D either. The film opens up the story formula somewhat with this chapter being set at a lake house and not a summer camp. This installment has pretty Chris Higgins (super cute Dana Kimmell) returning with friends for a getaway at her family’s house on Crystal Lake where 2 years earlier she survived an attack in the woods by a deformed man… hmmm, who could that be? It’s no stretch to guess that soon Chris’ friends and anyone else in the vicinity of the house start to be dispatched in gory ways by that same deformed man. Steven Miner directed again and this time he does get a little intensity going, especially in the last act which is an extended chase with Chris going all final girl with Jason. The film does start out with a bit slower pace and takes awhile to get going but, the last act does kick into gear and having twice the budget then the last film, shows it with a slightly larger scale and more elaborate stunts. Miner also directs with a bit more of a humorous touch in this installment too, which works both for and against it. It gives it a bit different tone but, also keeps the first and second acts a bit light till Jason really gets going and things get serious. It does kinda take the edge off of the impact of the kills and atmosphere till the final half hour when the intensity kicks in. But, this is also the film where Jason (the late Richard Brooker) not only gained his iconic hockey mask and look but, was also portrayed as a bigger and stronger adversary that he remained throughout the series. He has a lot more of an imposing persona and more of his trademark relentlessness here than in Part 2. The kills are a little bloodier too, but, still not as gory as Part 1 and some of them are a little silly such as a character bringing a spear gun to a house on a lake. The cast are again fine with Kimmel being my favorite of the sequels’ final girls. She is not only adorable but, makes a good damsel who is also feisty and resourceful and fights back with intensity. The rest of the characters are a little more colorful then usual, including a 3 person biker gang and 2 hippie stoners. The young, attractive actors give these characters some added life so, they are more likable and a bit less cliche’ then in the previous entry. Overall an entertaining enough entry, it still can’t touch the first movie but, it was better then the mediocre sequel it followed. It also was fun enough to keep one interested in the series and awaiting the next adventure of Mr. Voorhees… which would be one of his best. 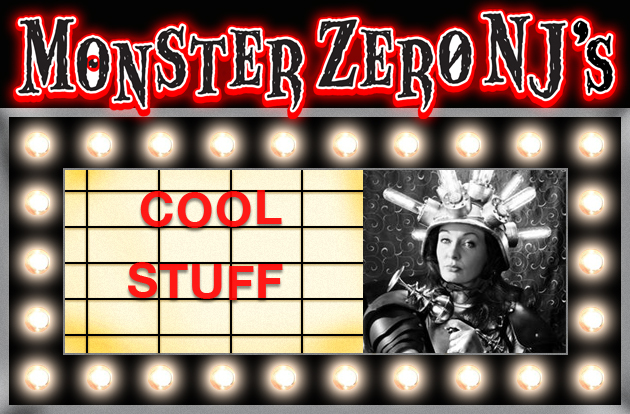 MONSTERZERO NJ EXTRA TRIVIA: There is a scene where the pretty Debbie (Tracie Savage) is reading an issue of Fangoria and opens the page to a Godzilla article. That is a nod from director Steve Miner who was planning to make an American Godzilla movie in 3D back in the 80s, well over a decade before the 1998 disaster but, the film obviously never got made. Too bad. It sounded better then what we got in 98. 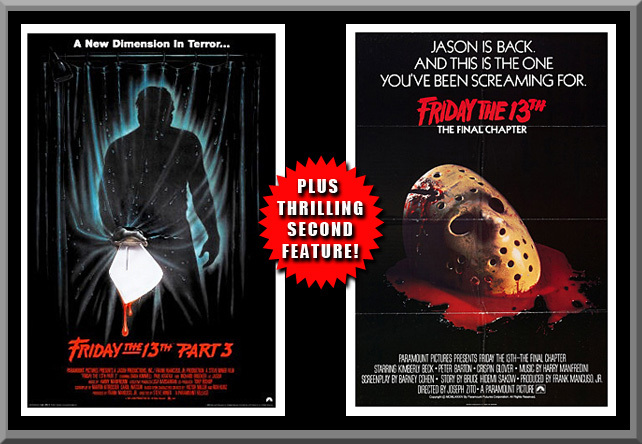 Friday The 13th: The Final Chapter is one of my favorites of the sequels and the one that comes closest to matching the original. The film saw not only a return to the more serious tone and atmosphere of the original film but, with the return of Tom Savini to the make-up FX duties, also brought back the more intense and graphic kills and gore. This entry opens right where Part 3 left off with Jason (stuntman Ted White) and his victims carted off to the morgue from the Higgins place only to have Jason revive and escape but, not before gruesomely murdering two horny hospital employees. We then switch to two houses deep in the woods near Crystal Lake, one occupied by single mother Mrs. Jarvis (Joan Freeman) and her daughter Trish (Kimberly Beck) and young son Tommy (Corey Feldman), the other occupied by a group of partying youths on a make-out and drinking getaway. But, a certain someone has returned home to his stomping grounds and now has targeted both young partiers and innocent family alike. Will any of them survive his relentless rage? 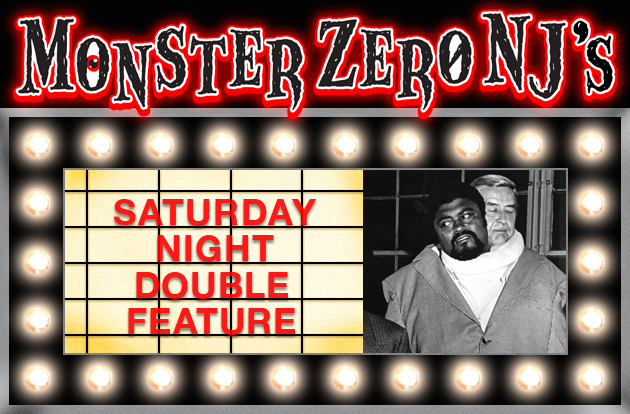 This installment brought in The Prowler director Joseph Zito and he brings the suspense, atmosphere and intensity to the proceedings that made that 1981 slasher one of the more entertaining of the time period. 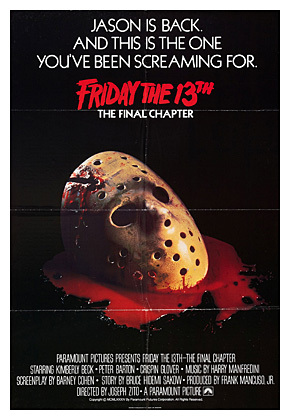 He comes very close to providing an equal to the original Friday with what was supposed to be Jason’s final film. The kills are brutal as well and with Savini’s return, the make-up FX are quite inventive and gory. Zito leaves some of the lighter humor that appeared in Part 3 behind and it keeps the atmosphere taunt and foreboding as it should be. The film also added an interesting plot element in the character of Rob (Erich Anderson), who at first seems like a hunter/camper but, turns out to be the vengeful brother of a girl murdered by Jason (Sandra (Marta Kober) from Part 2) and he is now stalking the lethal serial killer with the intent of ending his reign of terror. One of the film’s few faults is the confrontation between these two could have been a bit more epic. The character of young Tommy (Feldman) being a bit of a geek/make-up artist also adds a fun twist to the proceedings. As for the rest of the characters, this bunch are a lot livelier then most of the generic victims and with the inclusion of Crispin Glover in one of his most ‘normal’ roles as a shy teen and 80s movie fixture Judy Aronson as a one of the babes, we get a nice group of likable, horny teens to fall under Jason’s varied weapons and it has impact because we like them and the young cast give them life and personality. 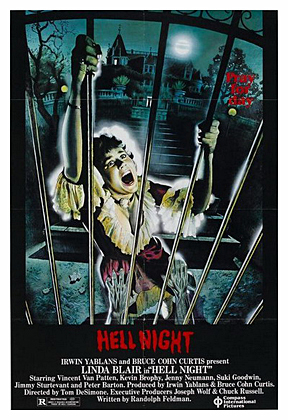 Also stars Hell Night’s Peter Barton as one of the party goers who meets Jason’s wrath and the score is one again by Harry Manfredini. A really good entry in the series and by far the best of the sequels. 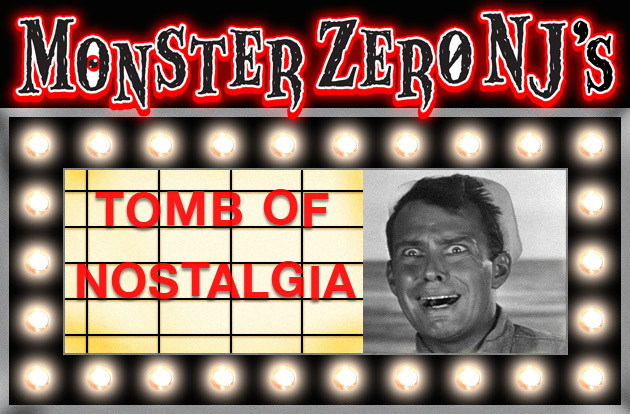 MONSTERZERO NJ EXTRA TRIVIA: There is a small mistake here in this installment. When driving past a graveyard, they spot Mrs. Voorhees’ tombstone which has her date of death being 1979. But, as we all know, she actually died on Friday June 13th, 1980 by having her head removed by final girl Alice in the original Friday The 13th.